Whoever has a video console has probably thought about using its gamepads on a PC or Mac in order not to have to purchase a new one or have to adapt to a new control system. 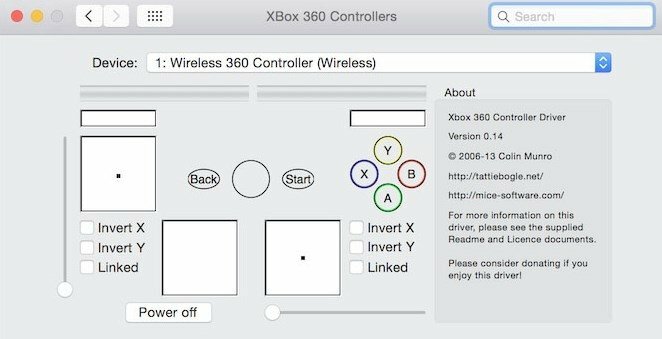 That's precisely what Xbox 360 controller driver for Mac allows us to do. 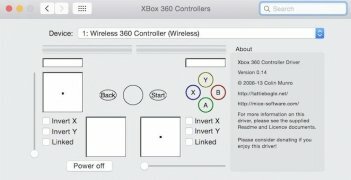 It's a tool that lets us use Microsoft's video console gamepad on a computer made by Apple. Initially, this driver was designed to be only used on Windows but it has now also landed on macOS. Thanks to this peripheral designed by Thrustmaster and Logitech, we can use it on our computer and adapt it to any game that supports gamepad control (almost anyone). After opening the program, it offers us a simple interface from which we can configure all the gamepad's controls, assigning functions to each button. However, don't expect a professional result for this tool since it's a development carried out by a particular user and Microsoft has had nothing to with it.